Dr. Overby attended Wake Forest University as an undergraduate and earned his medical degree from the Bowman Gray Medical School in Winston-Salem, NC. Dr. Overby completed an internship at the North Carolina Baptist Hospital in Winston-Salem, NC and a Family Practice Residency at Riverside Hospital in Newport News, VA. He served as a major in the U.S. Army and as a faculty member at the Dwight D. Eisenhower Army Medical Center in Augusta, GA from 1974 to 1976. He currently serves as an Associate Clinical Professor with the Department of Family Practice at East Carolina University School of Medicine in Greenville, NC. 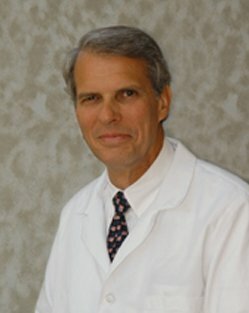 He has been with New Bern Family Practice since 1976.